A year ago, regulators slapped warnings to the labelling for Johnson & Johnson’s diabetes drug Invokana, setting it at a disadvantage against rival drugs in the SGLT2 inhibitor class, but now the company is fighting back. The changes came after the results of the CANVAS trial suggested that the drug was able to reduce cardiovascular outcomes in diabetic patients, like competitors including Eli Lilly and Boehringer Ingelheim's Jardiance (empagliflozin), but was also linked to an increased risk of lower-limb amputation. 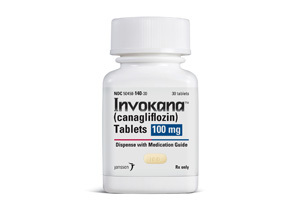 Now, J&J has data from a patient registry involving more than 140,000 type 2 diabetics treated with Invokana (canagliflozin) – reported at the American Diabetes Association (ADA) meeting in Orlando, Florida over the weekend – that it says backs up the safety of its drug. In the OBSERVE-4D study, new users of Invokana saw no elevated risk of below-knee lower extremity (BKLE) amputations compared to patients treated with other SGLT2 inhibitors as well as non-SGLT2 diabetes drugs. There was also no difference between the groups in a subset of patients with established cardiovascular disease. Buse said that the amputations seen in the CANVAS trial were generally seen in patients who had already had to have extremities removed earlier, suggesting they were already at elevated risk. J&J will be hoping that the new data will help it to persuade regulators to dial down the warnings on its Invokana franchise, which has been hit hard by the label changes in the last few months. Invokana and line extension such as the Invokamet combination with metformin saw sales slump by a fifth to $1.1bn in 2017 as the impact of the boxed warning took hold, and continued to slide around 13% to $248m in the first quarter of the year. At the same time, Jardiance has romped away on the back of the results of the EMPA-REG study on cardiovascular outcomes, with Boehringer reporting that sales more than doubled to top €1.1bn last year, while Lilly - - saw sales rise from $200m in 2016 to almost $450m last year. Analysts at Evercore ISI have suggested that sales could continue to balloon and reach $4bn or so in 2025. Meanwhile, AstraZeneca’s Farxiga (dapagliflozin) has also continued to gather pace with the company reporting sales rose 29% to just over $1bn last year. AZ is still waiting for data read-outs from its cardiovascular outcomes study (due in 2019), but presented real-world evidence for a benefit on heart failure rates last year.